Take a moment to reflect back on what happened at the instant of the collision, while your mind and body were still in the process of reacting to the traumatic event. Your initial thoughts most likely turned to immediate needs like assessing your own physical condition and, if possible, deciding whether to stay in the vehicle or get out of it. You may have called 911 to report the collision and requested emergency medical support. You may have even been able to check on the physical condition of the other persons involved in the collision. If you were coherent and realized some unsafe condition still existed, like your vehicle being in a dangerous position on the road, or you smelled gasoline, you may have felt that you needed to take additional steps to protect yourself and others from further injury. Little consideration, if any, was probably given to how you thought others would view your immediate reactions to the collision and the actions you took immediately following the collision. All your actions or omissions (your failure to act) will have an effect on your ability to pursue your legal rights for full and fair compensation for your injuries. West Virginia law provides that you have two years from the date of the auto collision to take legal action (i.e., file a lawsuit) against responsible individuals and companies, including insurance companies, to seek compensation for the damages (i.e., your injuries and losses) you sustained in the auto collision. If your child is injured in a collision, your child will have two years from the date of adulthood to file such claim. Waiting until your child is an adult, however, creates a significant loss of evidence you will need to prove your child’s claim. For adults, if you do not file a lawsuit within the two-year statute of limitations period, your claim will be forever time barred. Two years may sound like a long time from now, but believe me, it is not when considering all the things that must be done to secure your legal rights against the responsible parties. Every day that you wait to seek legal counsel equates to a loss of opportunity to obtain full compensation for your injuries. In reality, it is the first 60 to 90 days following your auto collision that will make or break your case. It is within this shorter time period that necessary evidence and testimony must be secured, treatment rendered and medical opinions obtained. If you wait until after this time period has passed, and you have not developed your claim properly, it will make the job of even a good lawyer very hard to obtain a full recovery for you. Worse yet, if you wait until close to the two-year statute of limitations period to consult with a lawyer, it is almost guaranteed that your claim will be compromised. It is somewhat like getting cancer diagnosed early — your chances of improvement are greater the earlier the diagnosis is made. So, don’t wait to get your legal claim diagnosed by a qualified lawyer. If you are unrepresented, there will be no one to advise you on the law and to ensure that you have met all your legal obligations — any failure on your part to follow these strict rules will have an adverse impact on your auto injury claim. Remember, only those damages that can be proven in a court of law will be considered for compensation. 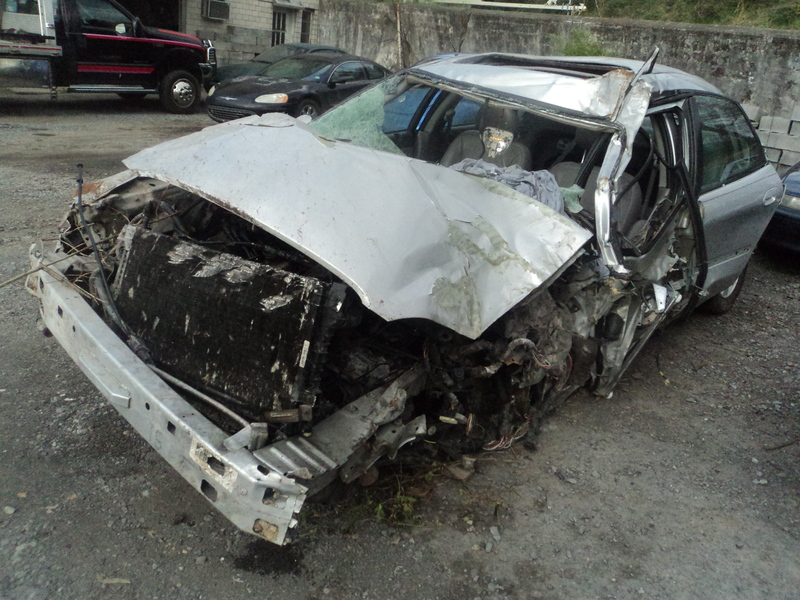 West Virginia Accident Lawyers: We would be glad to personally answer your questions. This information has been provided by the Robinette Legal Group, PLLC as a public service and does not in any way establish a lawyer/client relationship, but if we can be of any further assistance to you, it would be our pleasure to speak with you personally about your injury claim. Visit us at the Robinette Legal Group, PLLC, West Virginia Injury Lawyers. We provide free books to WV accident victims — Call us today: 304-216-6695 or 304-594-1800 for your free copy of Righting the Wrong: WV Serious Injury Guide; Collision Care: WV Auto Injury Guide; or Beside Still Waters: WV Fatal Injury Guide for Families. We are glad to answer your questions. Call 304-594-1800 today. Thanks for the info. It’s such a shame that virginia car accident attorneys have to deal with all the bad things that happen. So many crashes have killed people and they have to deal with probably more than just paperwork. Accident could occur at any point of time in life. At that particular moment we need first to reconcile ourselves and call 911 of immediate medical support. If we don’t know about our law rights then we could under pressure at the time of claiming our accident benefits. So knowing about our fundamental rights is important. Unfortunately, almost everyone will be in a car accident sometime in their life, and auto accidents can cause serious injuries and sometimes death. Often, an accident victim’s best hope of making a full recovery is finding a lawyer who is experienced in handling car accident claims. Good post. It’s a shame that insurance companies don’t advise their clients as to the benefits of underinsured motorist insurance. It is advisable to hire personal injury lawyer early to avoid any costly mistakes. You will never know when a car accident. Hiring personal injury lawyer is not that expensive. Most law firms provide free initial consultations these days. Vehicle accidents with serious injuries are one of those cases that needs a specialized Attorney help. Very well written and presented!